Organ meats were once the most cherished and valued sources of meat1. Organ and glandular supplements come from animal organs and glands. These meats are typically referred to as “offal”, alluding to any piece of the animal that falls “off” or away during butchering. Organ and glands from grass-fed animals are highly nutrient dense, with many essential vitamins, minerals and other nutrients. Organ meats or glands refer to the type of animal organs or glands that are consumed. They are not typical of the Western diet as muscle meats tend to be more popular. Glandular supplements are a great way to supply key nutrients from organ meat, in a quick and easy tablet form. Glands are typically secretory organs, meaning they secrete a specific substance into the blood or other pathways of the body. Endocrine glands include adrenal, pancreas, thyroid, and thymus glands and they secrete hormones. Other organs, though not technically glands, are also considered “glands” or “glandulars” when provided in supplement form. Spleen, heart, liver and lung organ tissues are often utilized in glandular supplements along with the actual glands. 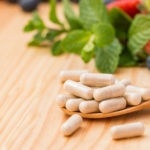 These organ and gland extracts are highly beneficial for the body because they are very nutrient dense meaning they supply a large amount of micronutrients to the body. Throughout time, glandular therapy has been used to heal people. In the past, whole meat organs or glands were given to people. Today, we typically use organ or gland concentrates in supplement form. Glandular therapy, also known as organotherapy, refers to the use of animal tissue extracts of the heart, spleen, and pancreas, thyroid, thymus and adrenals or other tissues. Tribes and healers have long thought these tissues are responsible for boosting the function or healing of the corresponding human tissue. Most meat that is consumed in America today is in the form of muscle meats, while organ and gland meats are often overlooked. This is unfortunate as organ and glandular meat contain valuable substances that are critical to healing the body. Glandular supplements can deliver nutrients, enzymes, cofactors, proteins and hormones in an organ-specific fashion. This means that they can get the nutrients and substances to the corresponding organs that need them most. In a sense, these glandular supplements can deliver what are known as “tissue-specific factors”. They deliver crucial factors that can help with the growth and maintenance of organs and glands. There are many benefits to supplementing with these. A study using a protocol of glandular supplementation found that within three months of treatment the symptoms of hypothyroidism within patients were significantly reduced2. There are also many critical nutrients. 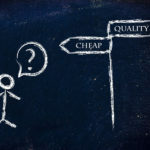 For example, CoQ10, a nutrient needed for generating cellular energy and protecting against disease, is highest in organs like heart, liver and kidney3. Do you need a neonatal glandular and organ supplement? Paleo Multi supplies many essential vitamins and minerals such as vitamins A, B, C, D, E and K as well as magnesium, copper, iron, and phosphorous that cannot be obtained in adequate, bioavailable amounts from the diet alone. Additionally, animal protein provides all 9 essential amino acids, making them a complete protein. This uniquely formulated supplement contains raw bovine (cow) and ovine (sheep) tissue from neonatal spleen, heart, liver, kidney, pancreas, lung, thymus, intestine and adrenals. Our supplement was developed using the highest quality neonatal tissues from young calves that have minimal exposure to environmental toxins and pollutants. This means that they are preserved in their purest state. It ensures that there is no accumulation of fat and toxins or a degradation of organ tissue that occurs with typical adult tissue. The tissue in the supplement is “raw” meaning it hasn’t been heated and the proteins haven’t been broken down. The glandulars have been processed at a low temperature in order to preserve the enzymes, nutrients and other factors and ensure the highest quality product available. 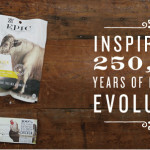 Our product is made in the U.S. from 100% USDA inspected animals. Enjoy the health benefits of organ meats, provided in a simple supplement form, without having to source quality organ meats and cook them the correct way. 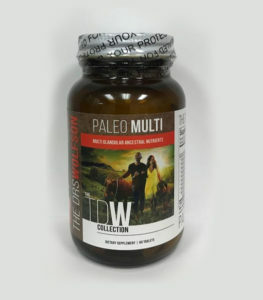 Try out our recently released Paleo Multi. What is in the Paleo Multi? 1. Spleen. A healthy spleen supports immune function and cleansing of the blood stream. The spleen is rich in zinc, iron and selenium. These are three important minerals for overall hormone, immune and body function. The spleen also has sufficient levels of protein. Fun fact: Selenium, just like what you get in spleen, is a trace mineral that is needed for antioxidant protection and can play a role in the prevention of cancer and heart disease. 2. Heart. Nutrients flow from the heart tissue to your heart. The heart tissue contains protein, CoQ10, choline, selenium and zinc. 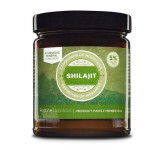 It is also loaded with essential B vitamins, which help to enhance the body’s energy processes. Fun fact: The heart is rich in choline, which can be converted to glycine, and other essential amino acids that provide a major boost in collagen production. Collagen is that buzzword supplement touted with improving hair, skin, nails and joint health. 3. Liver. The liver is one of the most nutritious organs. It is an organ destined to cleanse the body of toxins. It also manufactures thousands of proteins and is responsible for healthy cholesterol, including LDL and HDL levels. Liver helps to support digestion, brain function, liver function, and energy levels and heart health. It also aids in restoring hair, skin and nails.The liver is rich in B vitamins, specifically B12, B6, biotin and folate, along with vitamin A. 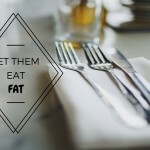 It is also high in critical nutrients like iron, choline, selenium, CoQ10, and protein. Due to its unique array of essential nutrients like folate and B12, it can effectively help with lowering Homocysteine. 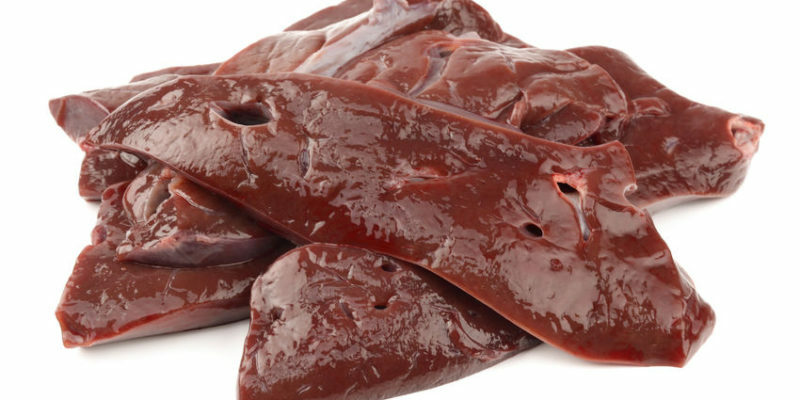 Fun fact: Beef liver is the most commonly consumed organ meat in America and is often thought of as a “nature’s multivitamin”. 4. Kidneys. Healthy, functioning kidneys are responsible for excretion of waste products from the blood into the urine. They also regulate hormonal function including vitamin D. Grass-fed kidneys contain essential omega 3 fatty acids, which are key to heart health, as these fats can lower blood pressure, decrease inflammation and increase blood flow. Fun fact: Kidneys are protein-rich. Beef kidneys contain roughly 27 g protein per serving. 5. Lungs. The lungs carry oxygen in and carbon dioxide out, a vital process for the body. Lung tissue contains the nutrients needed for our lungs to thrive. Lungs also contain rich amounts of iron and calcium along with other minerals. Fun fact: Cow lungs are a staple in cultural cuisines around the world. In Peru, Indonesia and Malaysia cows lungs are coated with spices and served as a main dish. 6/7. Pancreas & Thymus. These contain essential minerals like selenium and zinc that are needed for hormonal function and digestion. They are also packed with essential amino acids and protein, which are imperative to helping rebuild body tissues. Natural immunity to viruses, bacteria and parasites relies on the thymus gland. Fun fact: Part of the “Sweetbreads” culinary component, these glandular organs assist in digestion and blood sugar control. Not technically sweet or bread, these glands are essential to boosting immune function. 8. Intestines. Health starts in the gut. Intestines are full of micronutrients and the amino acid, glutamine, which are essential for healing leaky gut. They are also rich in gelatin (derived from collagen), a protein needed for healing leaky gut along with improving the health of the heart, joints, hair, skin and nails. Fun fact: Glutamine, a conditionally essential amino acid that is found in high levels in intestines, is important for healing gut-related issues. A study found that glutamine could decrease intestinal permeability and help to heal leaky gut4. 9. Adrenals. These are the energy powerhouses that provide cortisol, other hormones and cofactors needed for healthy, functional adrenal glands. Nutrition from the adrenals is imperative during times of high stress for the body. Fun fact: The adrenal glands are important for producing hormones, regulating cortisol levels, and managing water balance and blood pressure. Boosts satiety meaning that they can keep you feeling fuller longer due to high levels of complete protein. Can help build and maintain muscle mass due to their unique amino acid profiles. Excellent source of choline, which is important for cell membranes. Good source of iron. Animal meat contains heme iron, which is the most bioavailable form for the body. Most animal organs and glands are significantly more nutrient-denser than muscle meat. There are many critically important nutrients found in glandular products that supply essential vitamins, minerals and other factors in a very bioavailable form to the body. Our Paleo Multi product is a great alternative to having to source, prepare and cook organ meats. It is made with raw, neonatal tissue ensuring that the product provides the highest quality meat and nutrients for your body!